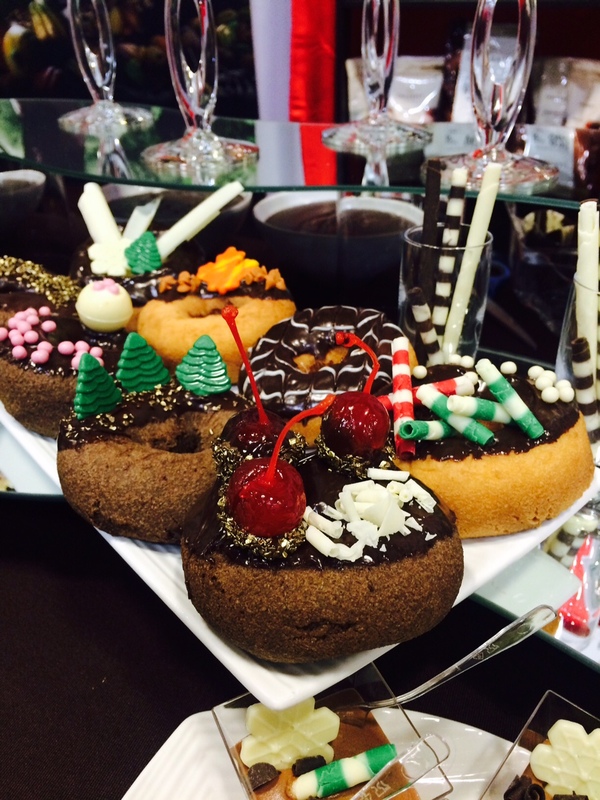 Chocolate doughnut decorated with Leelanau Fruit Company Maraschino Cocktail Cherries. It’s the most wonderful time of the year! I’m dreaming of a white Christmas. Jingle bells, jingle bells, jingle all the way! Why are we singing holiday songs in September? It’s just past Labor Day! We have over 85 days until Christmas. What’s going on here? No, we are not trying to get a jump on the major retailers who start advertising Christmas shopping at the beginning of college football season. We are ramping up our production of Glacé fruit mixes for holiday fruitcakes! For us, it’s glacé season! Glacé is the French word for glazed, and refers to fruits that are preserved in a sugar syrup. Glacé fruit can be used in cakes, breads and other sweets, or used to decorate cakes. Traditionally these fruits are used during the Christmas holiday season in fruitcakes. Glacé fruit, also known as candied fruit, has existed since the 14th century. Whole fruit, pieces, and peels of fruits are placed in heated sugar syrup. The fruit absorbs the moisture from within and the sugar syrup eventually preserves the fruit. Depending on the size and type of fruit this process can take anywhere from several days up to a month. LFC glacé mixes include our cherries, along with pineapple, orange and lemon peel, and turnips. These mixes will be delivered to select bakeries throughout the United States and Canada in the next couple months, who will use them as ingredients in traditional holiday fruitcakes! Since we began producing fruitcake mixes in 2012, we have become fans of the delectable holiday treat. And no, not just because we make the mix. Bakeries are doing incredible things with fruitcake, and let us tell you, they are delicious. Last week, Renee and Ben traveled to Toronto, Canada, to participate in a bakery supply showcase dubbed “Christmas in September.” This show was a great opportunity for us to interact directly with the bakers who use our glacé mixes in their bakeries. 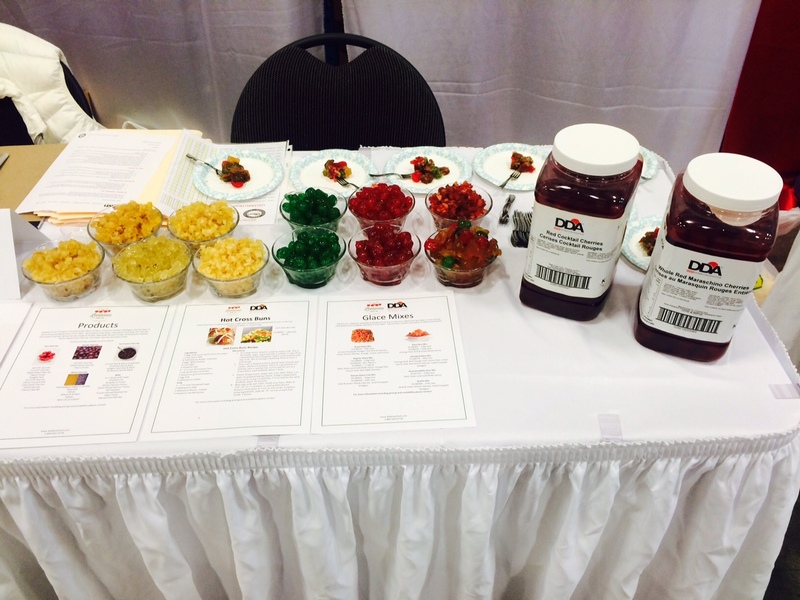 It was a rewarding experience to hear people come up to our booth and tell us how much they love our products. As we get closer to the holiday season, we will post a recipe for you to use our mixes and make a holiday fruitcake for yourself. Don’t want to bake? I don’t blame you! If you have a Costco store nearby, try one of their bakery fruitcakes. Chances are the fruit mix came from our Buckley plant- and it all began with a cherry! 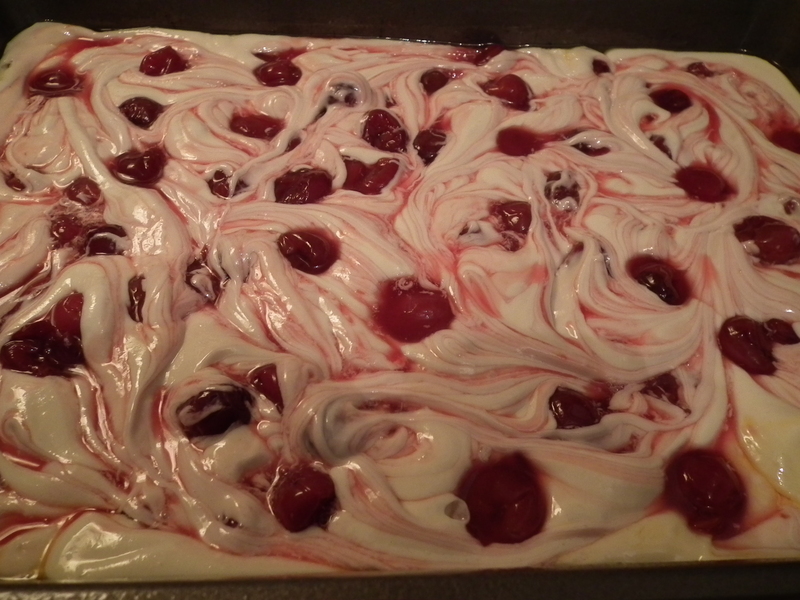 Cherry harvest is a time of year when our other life activities must get put on hold. Our fruit is so perishable, we work 24/7 to harvest, deliver, and pack the best cherries to be processed into maraschino cherries, ice cream cherries, frozen tart cherries, and cherry concentrate. Many times that means we must decline invitations to great summertime events with our non-cherry family and friends. But sometimes, we must take a few moments, break our routine, and do things that become special memories for us. Ben received a call one evening during harvest from a man named Mike. Mike’s friend, Governor Rick Snyder of Michigan, was vacationing in Leland, and they wondered where they could get some tart cherries. Ben has had the opportunity to get to know the Governor over the past 4 years, and so we invited the whole group of vacationers, Governor and all, to tour our plant the next day. Governor Snyder has had a great impact on the state of Michigan since he took office in 2012. His first piece of legislation signed into law was the Michigan Agricultural Environmental Assurance Program, a law that allows farmers to verify they are using best practices and improving their environmental stewardship. For a Governor who comes from a tech background, Governor Snyder appreciates the value of agriculture and value added processing in our state. The Governor had never been inside a cherry processing plant before. He was amazed at the laser sorting equipment, our pitters, and the technology involved in our process. We talked to him about our workforce, how challenging it is to hire 75-100 employees for 4 weeks in the summer. He asked questions, ate cherries fresh from the orchard, and got a firsthand look into our business. 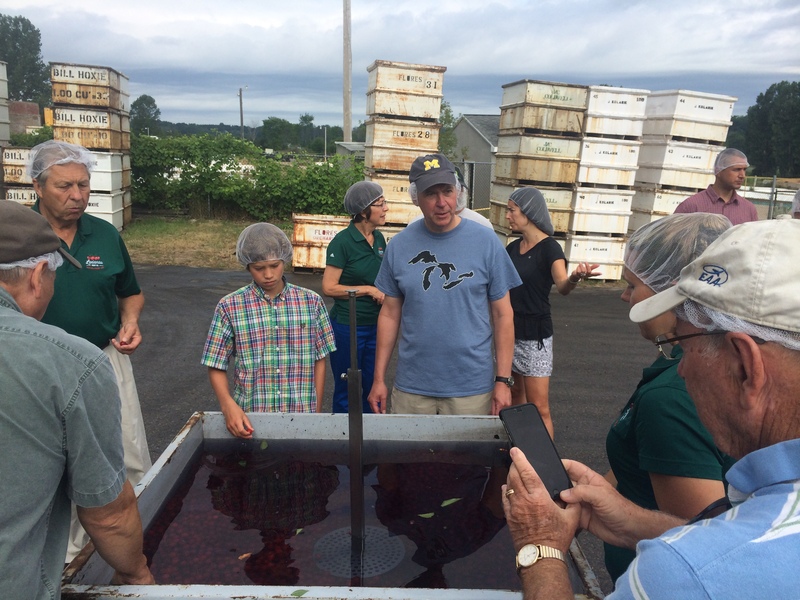 Governor Snyder inspects a tank of tart cherries fresh from the orchard. Mike, the governor’s friend, runs a large bread business. Mike and his wife, Stacey, were very interested our techniques and processes. We were proud to give them a deeper appreciation for the cherry industry. 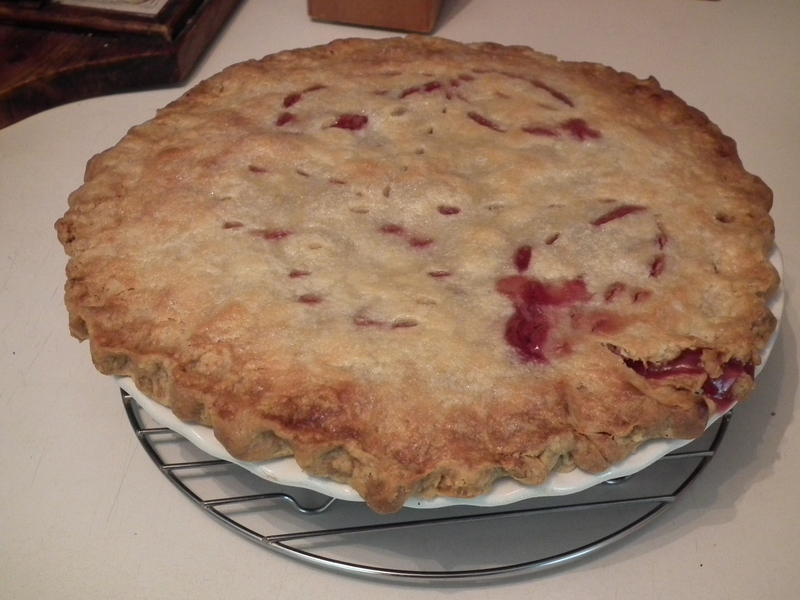 Governor Snyder and friends left that day with cherry pie from Chimoski’s Bakery, plenty of cherry concentrate, dried cherries, and maraschino cherries. 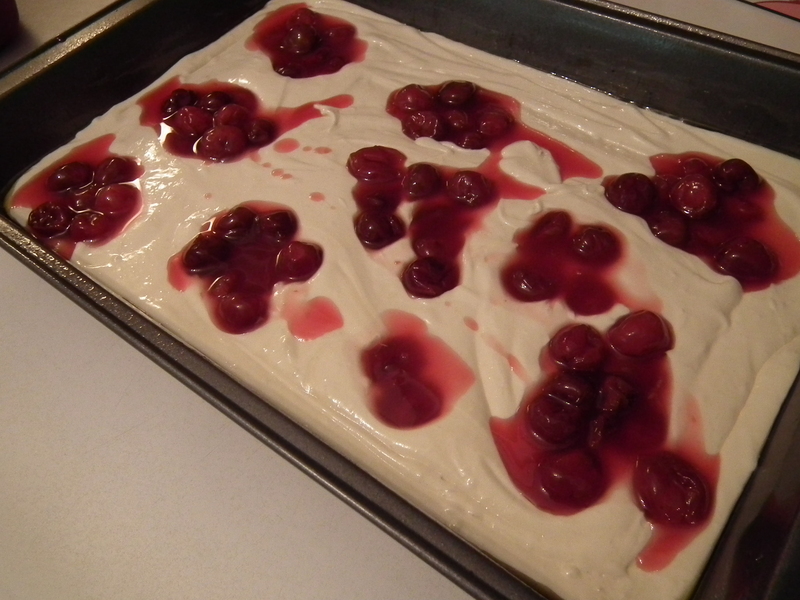 We made sure they took plenty of fresh, pitted tart cherries right off the pitting line. We stocked them up with LFC logo gear. But the most important thing we gave the tour group was an experience. 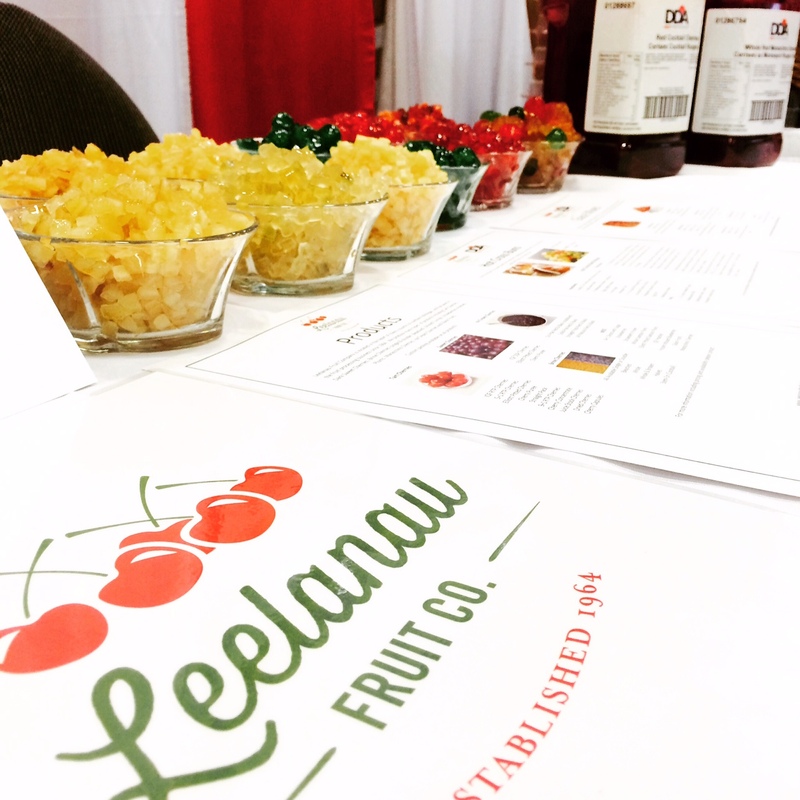 When the Governor thinks about cherries, I have no doubt, he will think about Leelanau Fruit Company! 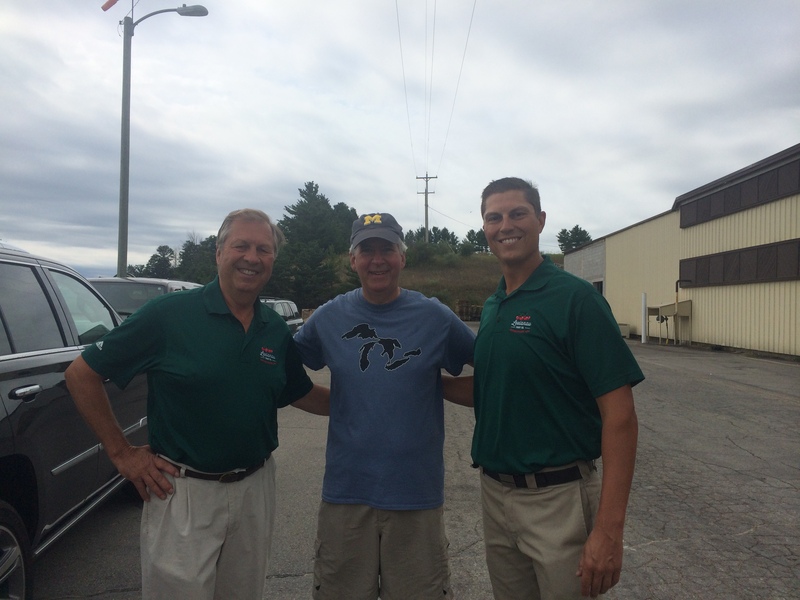 Glenn LaCross, Governor Rick Snyder, and Ben LaCross in front of the Leelanau Fruit plant.